While most people associate March holidays with St. Patrick's Day and Easter, today marks another that, to mathletes, rivals those in importance. However, unless you're truly into your mathematics, you're probably like me and thinking that pi isn't really all that exciting to celebrate. Now, pie, on the other hand? That's a whole different story. Which is why it makes sense to celebrate this special day with a name that knows all about pies, Edwards. Founded back in 1950, Edwards has been committed to providing customers with convenient, great-tasting frozen desserts made with premium, high-quality ingredients ever since. Even better, their large variety of mouth-watering pies and desserts are available as whole pies as well as in convenient individual servings, so there's something for everyone. In honor of National Pi Day, Edwards has even taken things a step further and have launched three new pie flavors — Mounds Coconut, Salted Caramel and Banana Crème — to their already-huge collection! Yum! 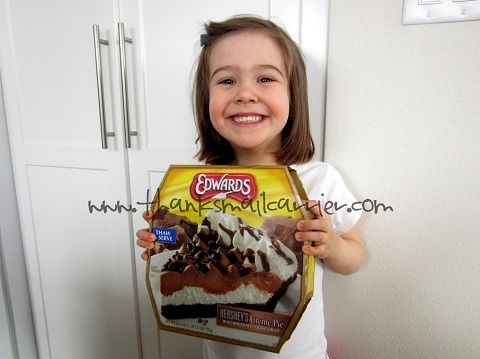 Having never tried Edwards desserts before, we were eager to head to the store and see which of their delectable options were available near us. 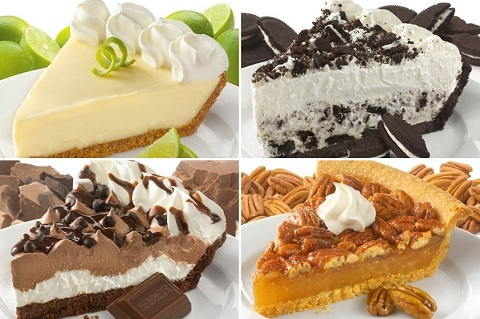 While our store didn't have any of the new pie flavors available, we were still excited to see Key Lime Pie, Hershey's Crème Pie and Pecan Pie (on sale!) and ready for our consumption. Unsurprisingly, when we returned home with the Hershey's Crème Pie, Big Sister E and Little Sister B were more than ready to dig right in. Can I have a piece of pie now? When are we going to have the chocolate pie? Is it time for the chocolate pie? All afternoon. After checking over the extremely easy directions for thawing (I love that Edwards gives you the option of thawing the entire pie or just a slice at a time), we placed the pie in the refrigerator and were excited about what would emerge in a few hours. ...they're pretty much magical together. This pie tastes completely fresh, while being rich, creamy, melt-in-your-mouth delicious — we each cleaned off every last morsel from our plates. The next time you are looking for an indulgent dessert for your family or to bring to a special occasion, let Edwards do all of the work (and provide the amazing results) for you. Visit their handy store locator to find a local grocer near you, where a full pie retails for around $8.49. Remember that they sell individual slices as well, so those would be a perfect way to treat yourself or pick up a special dessert for you and your sweetheart! Find out more about all of the varieties of decadent desserts that Edwards has to offer by visiting EdwardsDesserts.com and connecting with them on Facebook and Twitter. One lucky person will win a coupon for a FREE pie from Edwards! A big thank you to Edwards for providing free product coupons for me as well as one coupon for one lucky giveaway winner. The opinions shared are my own and honest and if you really need to see more, click here to see how I roll. My Mom's Apple Pie has always been my favorite! The Hershey's Cream Pie is my favoite! If we are just talking what I like and not what I purchase for the whole family, then I love coconut cream pie, a favorite from childhood although hubby or teen wouldn't eat this kind of pie! Apple with caramel & some ice cream to make it ala mode! And of course Pumpkin with some whipped cream(Cool Whip, not the stuff in the squirty can) around the fall/early winter holidays. Key Lime Pie is my favorite flavor! I love Georgia Pecan Pie! Thanks for the giveaway. Caramel Apple Cream Cheese...they used to carry it at Baker's Square but I haven't been there in over a decade so I don't know if they still carry it. I love most kinds of pie, haha. French silk is a favorite though. Peach! 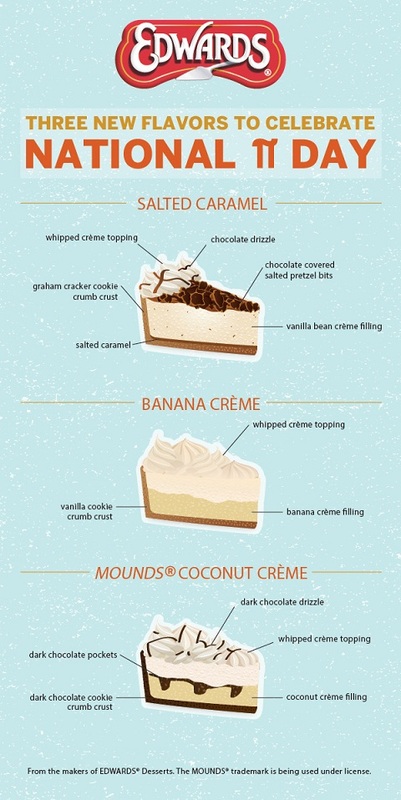 Oh wow - I have got to try that Mounds Coconut Creme pie. My favorite is peanut butter pie. I love Key Lime Pie and Lemon Meringue Pie. Key Lime Pie for sure! I love apple pie. Pecan pie is yummy too. Cheery pie is my favorite. I love the Salted Caramel Pie. I love chocolate... so pretty much any kind of chocolate pie is my favorite! My favorite pie is pecan pie! My favorite pie is the Lemon Meringue Pie. I love Banana Cream pie! Pecan Pie is the only way to go! Omg, I love good homemade peach pie. My favorite - year 'round - is pumpkin pie! Key lime is my favorite! My favorite pie is chocolate. I love their Key Lime. Apple pie. With some ice cream on top. I love coconut custard and sweet potato pie. Coconut creme is my favorite pie. Apple...thank you for the chance to win! I love coconut cream pie! Salted caramel?! My that looks delicious even in cartoon form. I'd love to try that flavor! My favorite pie is Lemon Meringue. Thank you for the chance to win! I've always loved Pecan Pie! Banana Cream pie or Coconut Cream Pie are my top faves! 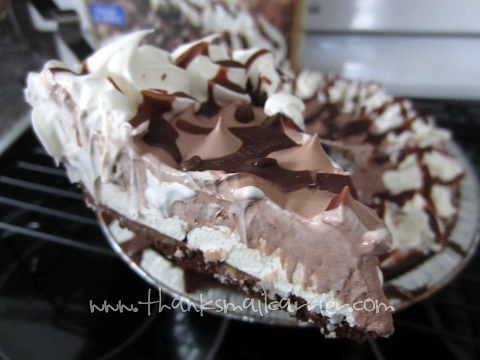 I love chocolate cream pie (in this case Hersheys chocolate cream)! I love cobbler pies, in particular peach. I LOVE Banana Cream Pie and would love to try this one! I like chocolate like mud pie, or mousse. My favorite flavor of pie is chocolate. coconut cream, on my birthday! Definitely pecan pie - my favorite part of Thanksgiving! My favorite is mince meat pie! Mounds Coconut Cream sounds really good, I would like to try! I like Banana Cream Pie the best! Thanks for hosting! 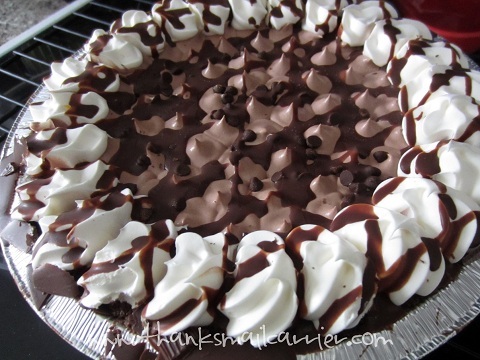 I really love chocolate any way but I love the Hershey Sundae pie. I love Cream Pies especially Coconut Cream or Peanut Butter Cream! I absolutely love coconut cream pie. lemon meringue pie is my favorite. I'm a Florida boy, so key lime is the only way to go. Coconut Creme pies are my favorite! 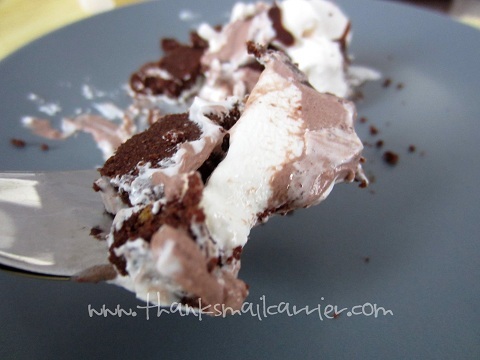 Chocolate pie is my favorite but I would love to try that Coconut Mounds pie. I love the classic, cherry pie. I love pumpkin pie, but also apple pie. Pecan! Key lime and cherry are tied for 2nd place. I love them all but cherry is my favorite-fresh from the oven. apple pie is my favorite! Their cheesecake is my 10 yr old son's favorite!